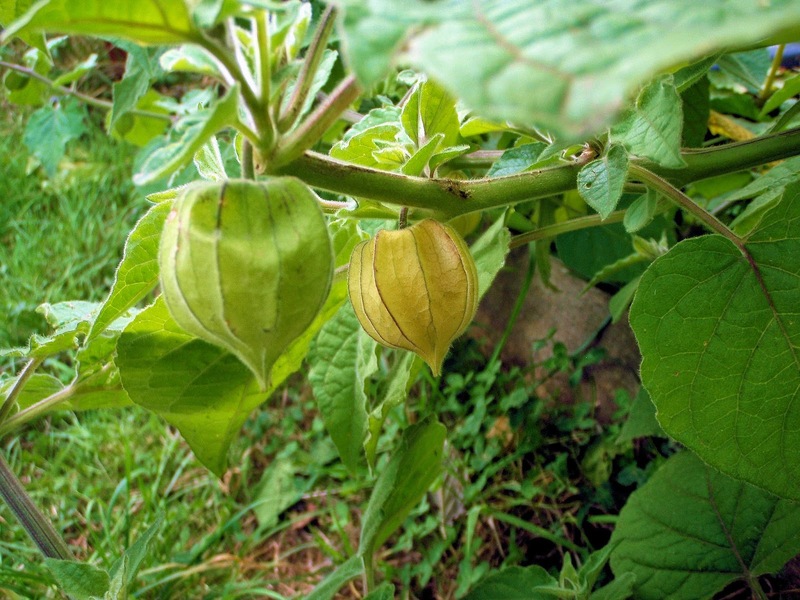 Physalis, or Cape Gooseberries, or Inca berries, (Physalis peruviana) taste infinitely better when picked fresh from the plant then when bought from the supermarket. The taste is sweeter and more complex than the fruits imported from, usually, South Africa and stored before going on the shelves. Although most of our homegrown physalis gets eaten as an allotment snack, my ambition is to get enough fruits to make physalis jam, which I've heard a number of people say is their favourite. I’ve been growing physalis for two to three years now and discovered that in the UK it needs a loo-o-ong season. The plants actually did better in the cool summer of 2012 (when we had a bright warm spring) than the long warm summer of 2013 (when the temperature didn’t get much above freezing until well into April). 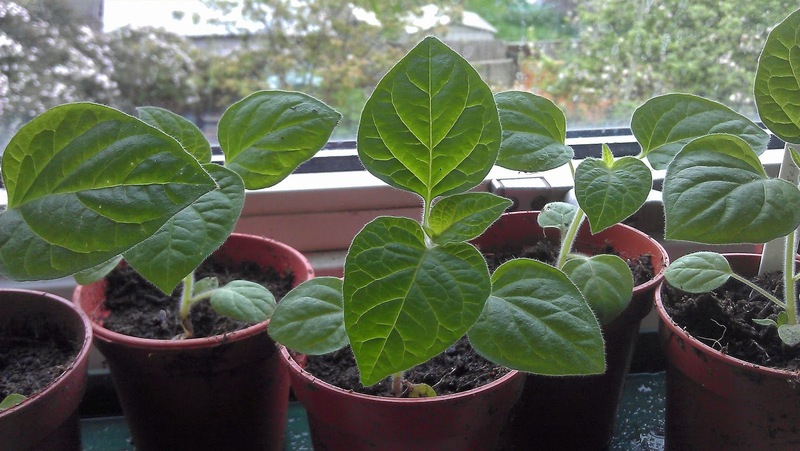 This year I’ll be sowing the seeds indoors in early March and will keep them cosseted and warm, transplanting into decent-sized pots before they go outside once all the frosts are done. I’ve also got a new raised bed lined up for them – hopefully they will reward me for this five-star treatment by producing some beautiful golden fruits come October time. 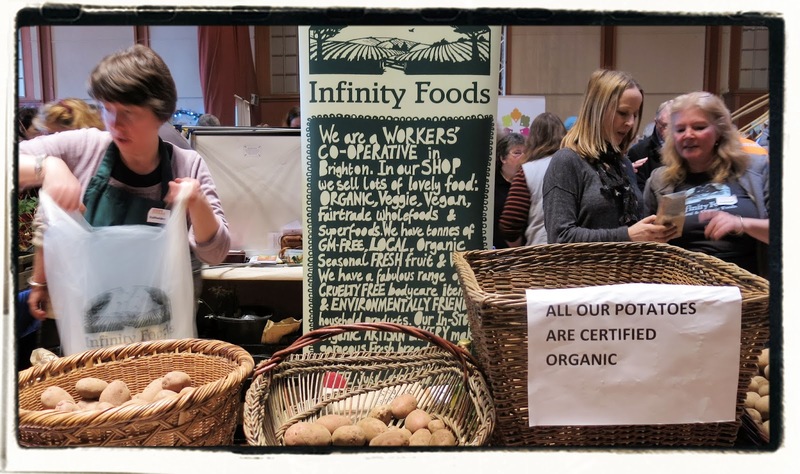 Seedy Sunday has come a long way since the first community seed swap event in Kemptown in 2002, but it remains the biggest of the Seedy Sunday events in the UK. 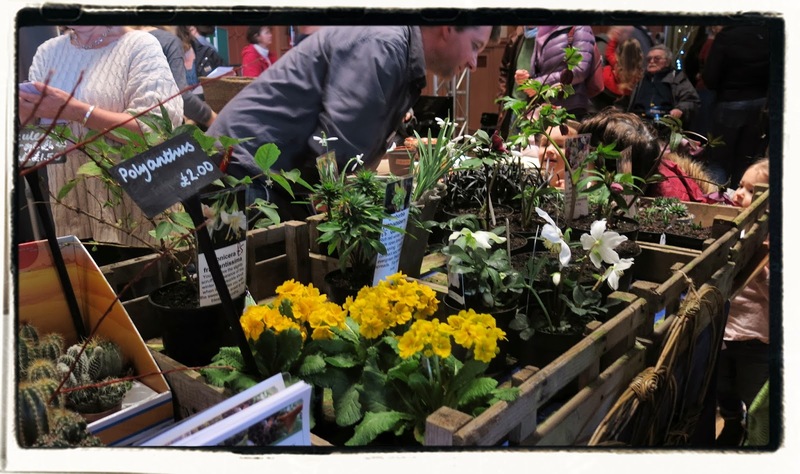 This year’s event at Brighton Corn Exchange brought around 3,000 people together to swap seeds, buys seeds and plants, attend talks, including one on organic gardening from Bob Flowerdew himself. I hadn’t been to a Seedy Sunday since the days when it was held at Hove Town Hall, but its relocation to the Corn Exchange hasn’t, thankfully, been accompanied by any attempt at gentrification. The hall was packed: seed suppliers included Thomas Etty, Beans and Herbs, and Pennard Plants, and then down at the far end of the hall on a large square of tables, visitors rummaged eagerly through the seed swap packets, which remains the heart of the event. No matter how obscure the seeds you’re looking for, there is a good chance you’ll find them at Seedy Sunday, and a guarantee that you’ll be distracted by many others at the same time. I browsed through the brown paper packets looking specifically for violet tomatillos (found), purple-skinned Violet de Gournay radishes (not found as such, but Thomas Etty has promised to sell me a packet from their stocks back at HQ), and stripey-skinned aubergines (found, Listada di Gandia). There is usually a wide variety of seed potatoes, and Pennards were selling the Salad Blues I was looking for, and also had a separate display of soft fruit including pots of All-Gold raspberry canes. A good haul. Last time I visited Seedy Sunday, I bought my first ever wasabi plant and a couple of lemon grasses, but I could find no lemon grass this time. The distractions were the delightfully named Black Truffle tomato, a mountain pepper plant (Drymis lanceolata) from Edulis Nursery – evergreen, very hardy, leaves and black berries both edible – and a bottle of rosehip syrup, as I completely missed out on making my own last year. And always on the look-out for space-saving ideas I couldn’t pass by Evergreen Roof Gardens without taking a good look at their modular vertical planting system, below. Seedy Sunday originated in Canada in the late 1980s, in order to bring communities together to share open-pollinated seeds and heritage varieties. The first Brighton event was in February 2002 and remains the largest Seedy Sunday event in the UK, although there have also been Seedy Sundays in Eastbourne and Cambridge - and a Seedy Saturday in Lewes, in Sussex. Yet the whole idea of seed swapping and heritage variety exchange is currently under threat from proposed EU legislation, covering the registration of 'plant reproductive material' (seeds, tubers, cuttings, etc). The proposal is grinding its way through various readings and amendments - in its original form it would have made it illegal to swap seed, even between amateur gardeners or on a friendly or neighbourly basis. Campaigning from a number of bodies, including the RHS, Real Seeds and Garden Organic has seen some exemptions for private gardeners added to the proposal, but there is still more to be done to ensure future access to as wide a variety of seeds as possible. Click here for the full text of the current draft report to see how it might affect you. Rock Cottage Year | A gardening blog with the odd bit of cookery.